Traditional solar pumping systems cater for shallow boreholes and low capacities, and are mainly used for far off cattle/game drinking water supplies. 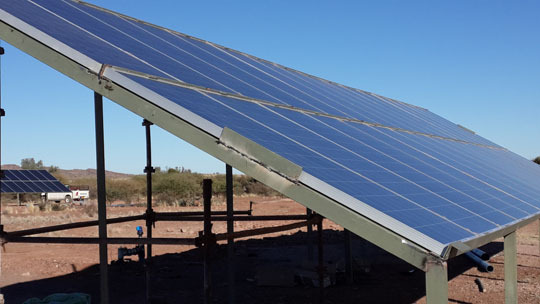 The current cost of electricity and future tariff increases have necessitated a more in-depth look at the availability of equipment suitable for using renewable power. W.M. 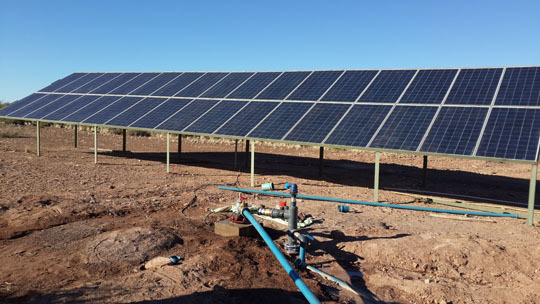 Spilhaus Boland consequently started to develop a solar system for pumping water which requires very little maintenance. Sunlight is almost always available, and is free. Accredited solar panel manufacturers guarantee solar panels for 25 years through an independent insurance agency. Making use of ordinary three phase motors and pumps, any application can now be accommodated. Any size pump can be run from our solar system. Any duty can be accommodated, be it large capacity, or high displacement heads. 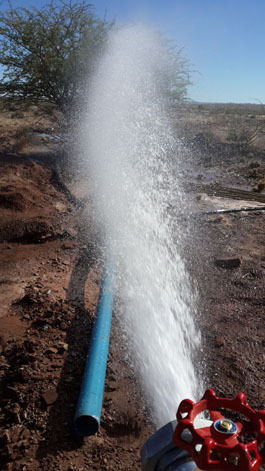 Our system is suitable for borehole pumps (deep well), as well as surface (booster) pumps. 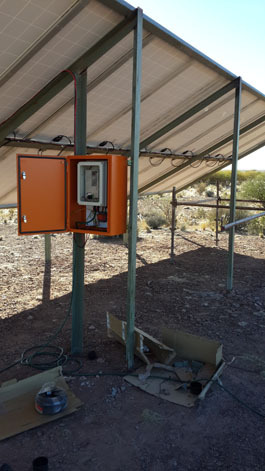 No inverters or batteries are required, as the solar energy (DC) is taken straight to the VSD which converts it to 3 phase, 380 VAC current to run the pump’s motor. Off the shelf pumps, and three phase motors are used with this system. A standard Yaskawa VSD is used, with locally developed software. Spares and replacement equipment are always available. All equipment used are readily available in South Africa, and neighboring countries.